What Ever Happened to Baby Jane? was a smash hit when it was released in 1962. It earned five Academy Award nominations and was responsible for revitalizing the careers of two of Hollywood's most famous and accomplished actresses, Bette Davis and Joan Crawford. Both Academy Award winners, the movie work for Davis and Crawford had dried up since they had reached a certain age. The success of the film led each to a busy second phase of their careers in mostly B movies which kept them working and in the public eye until their deaths. With her go-for-broke and completely vanity free performance as the grotesque, unstable Jane, Bette Davis created one of the most famous and iconic characterizations of her career. She earned her eleventh Academy Award nomination as Best Actress for it, and embraced the character throughout the remainder of her life, often referring to Jane as one of her all-time favorite roles. From the beginning, everyone wanted to believe that there was a terrible feud between Bette Davis and Joan Crawford. While they weren't friends, the perceived rivalry became so exaggerated that it has gone down in the annals of legendary Hollywood lore. Most of the outrageous tall tales are unsubstantiated, but they have nevertheless become part of Baby Jane's cachet, which makes for a better story that most people would rather believe. Even though this was the only film that Davis and Crawford ever made together, the two actresses were forever linked in the public's mind, and each was asked about the other until their dying days. That is where the FX Series Feud draws its inspiration from. 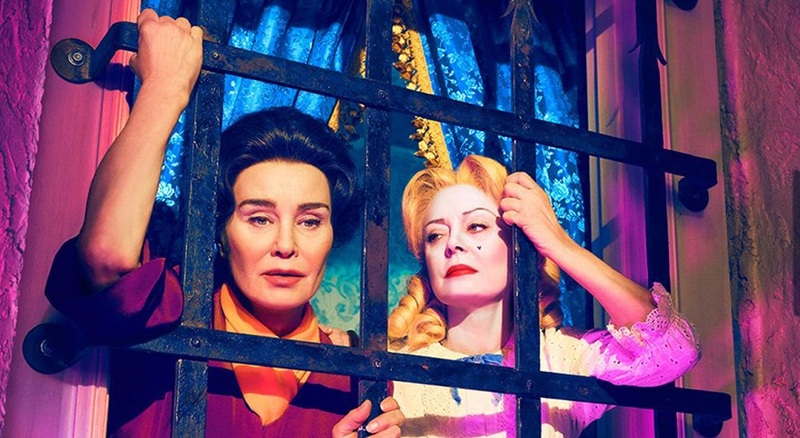 Feud: Bette and Joan, the first installment of Ryan Murphy’s anthology series, centers on the legendary rivalry between Joan Crawford (Jessica Lange) and Bette Davis (Susan Sarandon) during the filming of What Ever Happened to Baby Jane? and after filming ended. It explores how the two endured ageism, sexism, and misogyny while struggling to hang on to their careers. Feud Premieres March 5th on FX.